Here's an old story that was doing the rounds again this year - infact the Park Royal Brewery closed in 2005 - however fluoride is still being added to water in Dublin - and here we are still trying to stop it being added - two years ago we had campaign beer mats warning of the threat to beer. GUINNESS gives you a good pint and fluoride, much to the annoyance of a Dublin nun spearheading an anti-fluoride campaign. 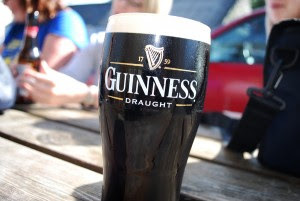 Guinness Ireland has disclosed that Dublin stout can have as much as six times the fluoride level of stout brewed in London. The reason: the Park Royal Brewery in London uses unfluoridated water in a treatment process that further reduces the natural background level of fluoride to 0.1 parts per million. Following a number of queries from the public, Guinness Ireland wrote to one consumer on March 27 explaining that Dublin uses town water which is fluoridated at a typical level of 0.75 parts per million. “Thus it is possible that Dublin stout has six times the fluoride level of London stout,” said the company. 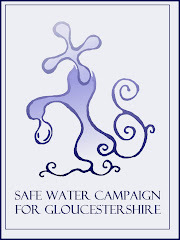 The company said the high quality water was fluoridated, along with every other public supply in the country, following a Supreme Court decision obliging the authorities to add fluoride. However, a statement issued by the Fluoride Free Water Group campaign care of Sr Rachel Hoey, who is attached to St Raphaela’s Convent, Stillorgan, Dublin, yesterday stated there are increasing health concerns about total fluoride intake. It said the agent used to fluoridate water was called hydrofluosilicic acid, which it claimed was a toxic waste product of the fertiliser industry. The group quoted the union representing scientists, lawyers and other professionals at the US Environment Protection Agency. It said their review of evidence over the last 11 years indicated a causal link between fluoridation and cancer, genetic damage, neurological impairment and bone pathology. Recent epidemiology studies had linked fluoride exposures to lower IQ levels in children. However, Tom Leahy, deputy city engineer with Dublin Corporation, said he was satisfied there was no risk to public health.